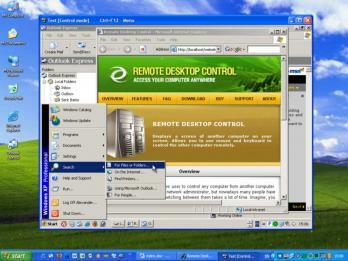 Remote Desktop Control is a program that provides a straightforward solution for accessing and controlling remote computers. It contains both host and admin modules. The first one lets the remote machine provide access, while the second module enables the source computer to gain access. You will need to create an account on the Remote Desktop Control official website in order to use the program. The modules have a straightforward GUI that makes the app very easy to use. While you’re in admin mode, it is possible to directly establish a remote IP connection to another computer. Alternatively you can simply send an email request to the other user’s account. You can also add a new PC that’s connected to your Local Area Network by filling in the PC name or its IP address, change the default main and file transfer port, enter a shortcut name and the saved password.